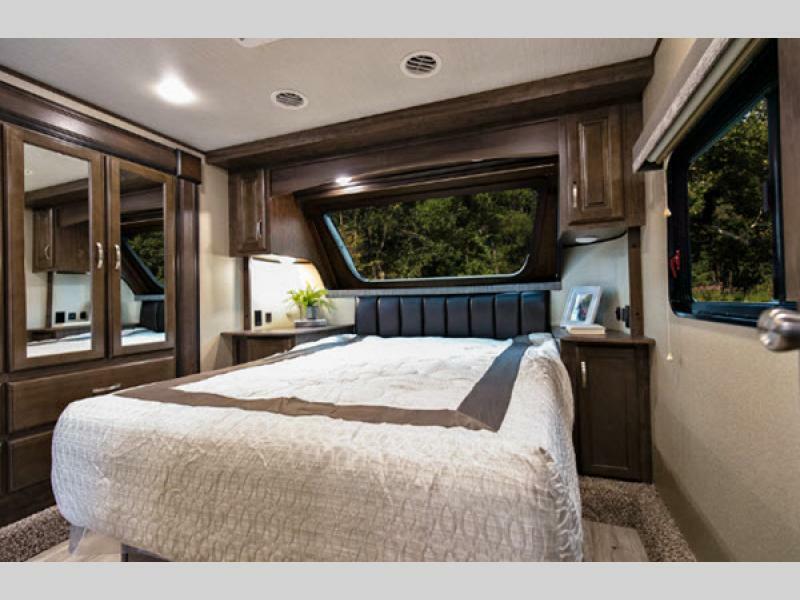 If you’re in the market for a high quality fifth wheel that promises to make you feel at home wherever you are, look no further than the Grand Design Solitude S-Class. 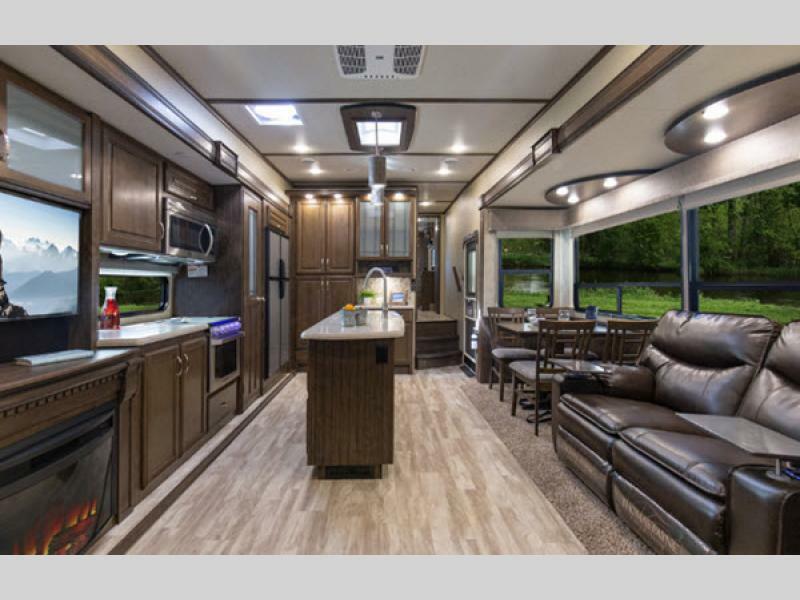 This gorgeous fifth wheel shines inside and out and is sure to provide you with a delightful living experience wherever you are. Learn more in our Grand Design Solitude S-Class fifth wheel review. This gorgeous kitchen promises you plenty of space to make delicious meals, as well as storage for all of your favorite kitchen gadgets. Cooking delicious meals for family, friends, and guests is made enjoyable in this luxurious kitchen. It gives high-end vacation rentals a run for their money and promises you plenty of space and amenities to get the job done right. Every S-Class floorplan comes with a delightful kitchen that is sure to impress you and your friends. A spacious bedroom provides you with a lovely space to unwind and relax. Whether you spent the day driving to your destination or was out and about exploring, this bedroom offers you the opportunity to recharge before heading out for more fun. If you’re looking for an RV that offers you a private space that truly is your home away from home, then this is it! The high-end S-Class bathroom offers an undermount sink, porcelain toilet, and one-piece fiberglass shower. Never underestimate the power of a quality bathroom. You’ll love every minute spent in this space because of the high end features that promise to make you feel at home. 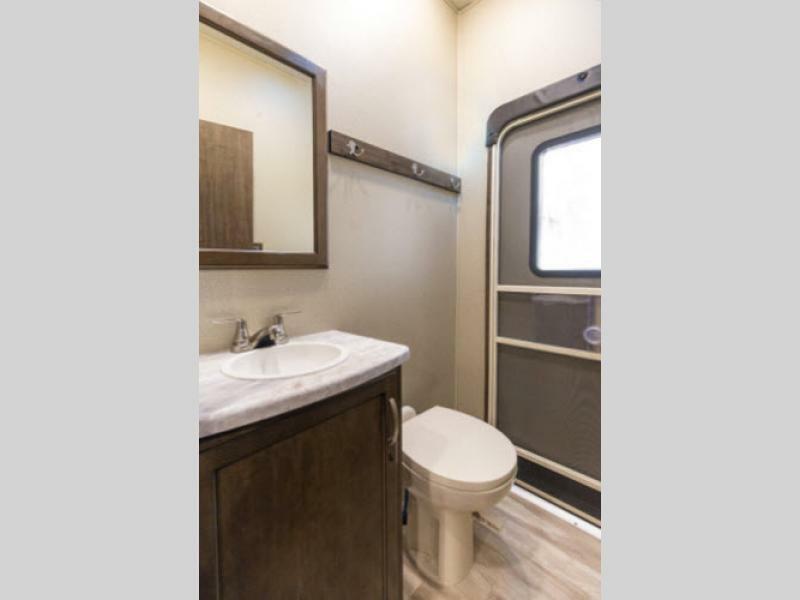 From the gorgeous shower to tons of storage, this space is truly a delightful part of the RV. If you’re interested in learning more about our Grand Design Solitude S-Class fifth wheels for sale, contact us. We can answer any questions you have and make sure you’re equipped with the information necessary to make the best decision for your family.